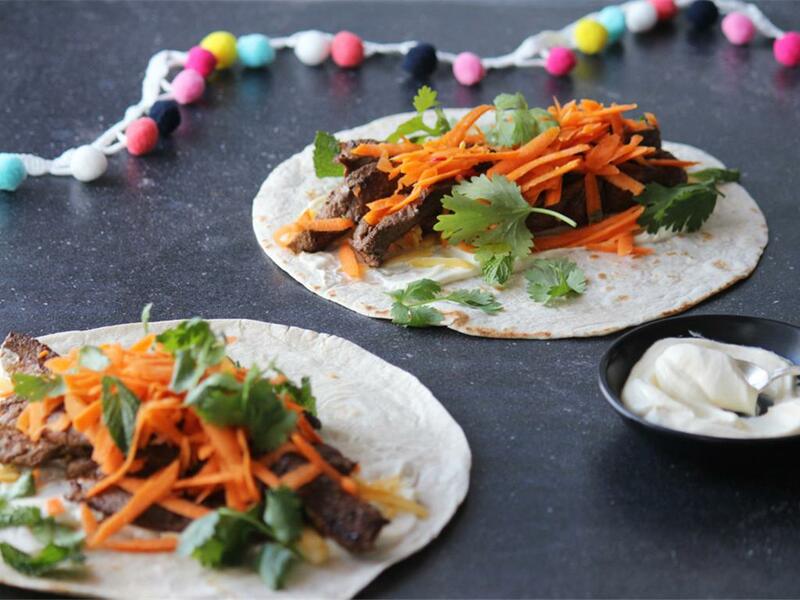 Quick & easy toasted wraps topped with spiced beef, cheese, ssour cream, carrots & fresh herbs. Serve by topping the wrap with the sour cream, grated cheese, beef strips and grated carrots. Sprinkle over the coriander and mint leaves. Wrap up and serve.